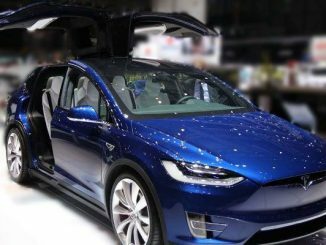 Marc Faber predicts that Tesla Motor’s (TSLA) stock price is likely to take a nosedive soon. Gloom, Bloom & Doom Report’s publisher Marc Faber gave a rather bold claim that Tesla Motors Inc (NASDAQ:TSLA) stock would slip to $0.00 on CNBC’s “Trading Nation.” Dubbed as the Dr. Doom of the trading market, Faber said the automaker’s stock is likely to nosedive eventually because of tougher competition, slow production, and costly projects. The investor also noted that other automakers could also build the same battery-powered vehicles that Tesla is known for at a much lower cost. 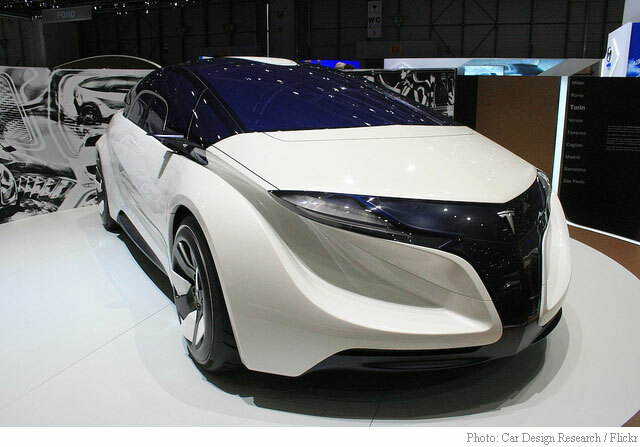 He highlighted BMW, Nissan, Mercedes, and Toyota’s continuous efforts to develop electric cars efficiently. BMW and Mercedes-Benz are reportedly launching their own line of electric cars within a few years. On the other hand, Toyota, which rolled out one of the first full hybrid electric sedans, the Prius, in 1997, announced that it would stop producing gasoline-powered vehicles by 2050. Meanwhile, Nissan came out with its own 100% electric car, LEAF. Although the LEAF is not as powerful or good-looking as Tesla’s electric car, it is more affordable than Model S and Model X, as well as the Model 3. Faber also claimed that the electric vehicle market is not large enough for major auto giants, adding that once competitors start flooding the market, Tesla’s shares and business will be affected tremendously. Moreover, Tesla’s Model 3’s production is not expected to go full on until the end of this decade. During the talk, Faber gave a piece of advice to investors who are willing to invest in volatile stocks like Tesla, put some of their investment in treasury. The reason? Faber believes that if the market crashes, the fixed-income security issued by the U.S. government will generally only suffer minimally. He added that if an investor wishes to bet his cash in equities then it’s best to invest in emerging markets, such as Indonesia, Thailand, or Brazil. Tesla CEO Elon Musk is also making a lot of investors and shareholders nervous with his billion dollar expansion plans and controversial acquisitions. In a 1,500-word manifesto, Musk outlined his plans to expand the company’s electric vehicle line and develop “stunning solar roofs.” The ambitious project could cost the company tens of billions of dollars. However, Musk was quick to clarify that he has no plans to spend billions of dollars carrying out projects right away. Tesla Motor’s shares also took a beating following the exit of a key manufacturing executive for Facebook Inc (NASDAQ:FB). The carmaker’s $2.9 billion takeover of SolarCity Corp (NASDAQ:SCTY), the largest residential solar provider in the US, is also causing Tesla’s share to drop. The venture, which would integrate Tesla and SolarCity’s respective electric car and solar technologies, could pave the way for new products. As of August 10, Tesla Motors’s stock closed down 1.50 percent at $225.65. The $34 billion Palo Alto, California-based company has a median Street price target of $231.50 with a high target of $500. Tesla Motors Inc. is down 4.94% year-over-year, compared with a 4.6% gain in the S&P 500. In north America 2015, Tesla Model S took 25% of the high end car market. 25,000 out of 100,000 cars were Tesla Model S. And the sale is increasing at an alarming rate, this year Tesla sales is on track to go up 60%. Marc Faber can say it’s a small market, I think those high end makers must be panicking. Now let’s take a look of Tesla’s Model 3. It already got 400,000 preorders, it will for sure pass one million after the revile 2 later this year. It probably will take 1/3 of the market from BMW etc. Marc Faber got it completely wrong. What’s going to happen is Tesla will take over the car market, other car companies will try hard to avoid bankruptcy. Marc, I laugh at you. Your predictions are always wrong, don’t you fill shamed about it? A broken clock can get right twice a day. You are the clock. Last I looked the Model 3 is not yet in production. For now, that issue alone makes the car moot. The Model S is a reasonable car but the cost is far beyond Mr and Mrs Average. The bigger manufacturers have a huge leg up on Tesla in their already in place R & D departments and somewhat endless buckets of money. I’m not seeing a net zero, but I wouldn’t be too surprised to see a substantial drop. And I do have a few shares in the mix by the way. Closest Nissan Leaf to a future Model 3 is Nissan Leaf SL which has a base price of $36,790 (higher than the Model 3) and has half the range of the Model 3… Production on the Model 3 is supposed to ramp up in 2018 whereas the competition doesn’t even have planned cars until 2020. The Chevy bolt is the ONLY other car with a similar electric range available for US buyers. It’s slower, uglier, and more expensive than the Model 3 and with lower profit margins. This investor is actually shorting Tesla and trying to cause a fuss. Faber is a dumbass. Those of us who are actually studying the market have already figured out that the only competitors to Tesla are a number of Chinese companies (which are already mass-producing electric cars for their home market), with Chevy just possibly managing to make a competitive car as well. Everyone else — all the other German, US, Korean, and Japanese automakers — are way too far behind and are very unlikely to make the transition. Someone should compile a list of past articles like this one and hold each and every author to the fire. As in “You’re fired” for being an big oil deuche bag.